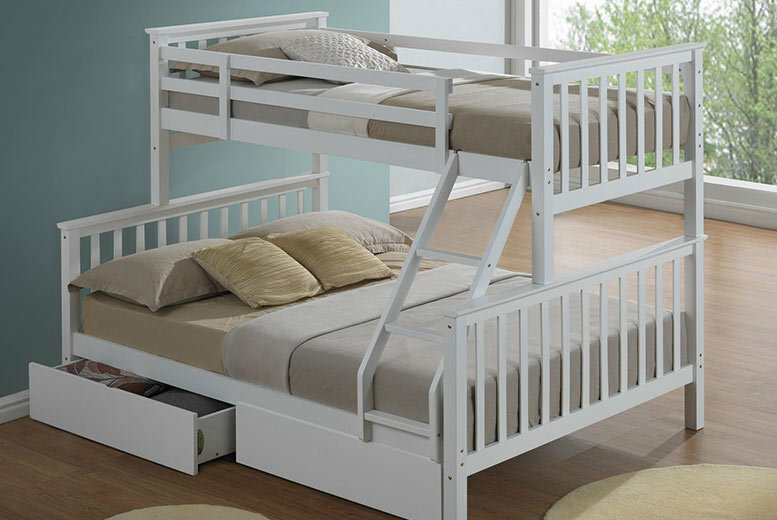 Save space with a kids’ three-sleeper bunk bed. Choose the bunk bed only, or upgrade to include handy drawer storage. Made from durable, high quality rubberwood. With a high rail around the top bunk, and wide ladder steps for safety. Can be split into two separate beds if desired! Valid in two classic colours: white or beech.